Today was a gorgeous day in California, nothing but blue skies and sunshine! I felt the need to dress the part. Clothes and accessories are something to have fun with and express yourself. There is nothing worse than getting dressed and thinking to yourself, “I hate what I am wearing.” If you feel this way, change your clothes! Your bedroom and closet may look like a tornado touched down, but it is worth it! White and cork wedges by Steve Madden $30 Macy’s and Dark blue skinny jeans $12 Forever21, both last seen here. I do not consider myself to be trendy. I have mentioned in previous posts that I try to buy items that I think I will wear for several years. If you don’t think you will wear something longer than a season or two, I wouldn’t buy it. I have had both these shoes and jeans for several years. As a reformed jeans snob, I love these jeans and can’t believe they were only $12! I used to believe everyone noticed and judged me on the type of jeans, shoes, and purses I had. Chalk it up to college insecurities, but once I realized labels didn’t matter, getting dressed was so much more fun! Also, who wants to hang around or try to impress others who only care about the brands you wear? Not me, anymore! 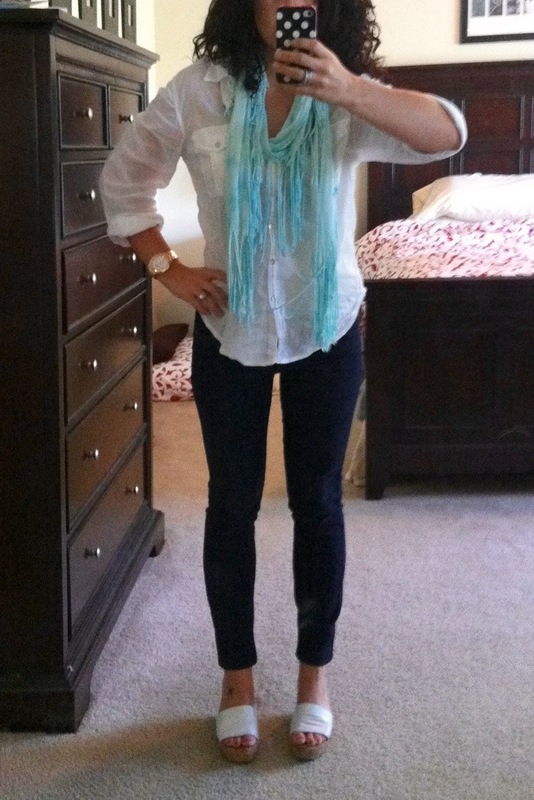 Light blue fringe scarf $6 Target, last worn here. 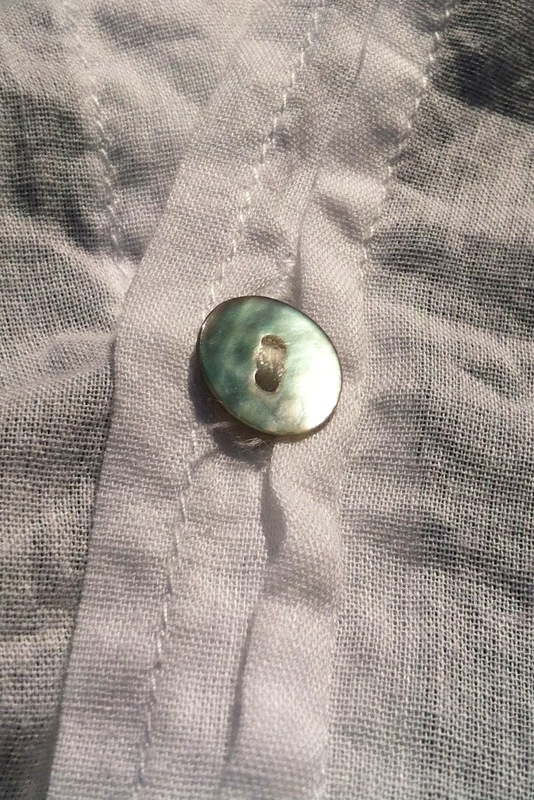 White button-up shirt with mother-of-pearl buttons $15 Forever21, bought last spring. I absolutely love this shirt. It is light weight and perfect for spring and summer. The mother-of-pearl buttons are a nice touch and scream summer! 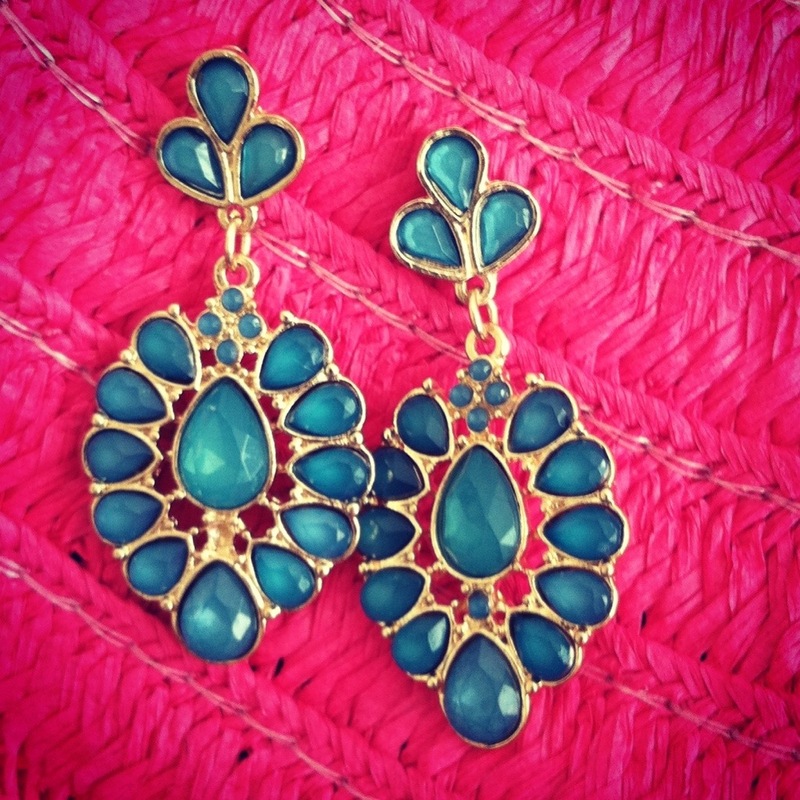 These adorable chandelier earrings were a birthday gift from two of my sweet friends. I think they are awesome and add just the right amount of sparkle and color to this outfit! Love your earring and scarf! Pretty!!! Great look! How’s spring break going? Thanks! It is going great! Got my eyeliner tattooed yesterday! I was delusional and didn’t think it would hurt LOL! I will post about it next week. Oh wow!! Can’t wait for the post-always wondered about that procedure! Happy healing!